Find all the best 2018 Halloween haunted houses in Iowa. 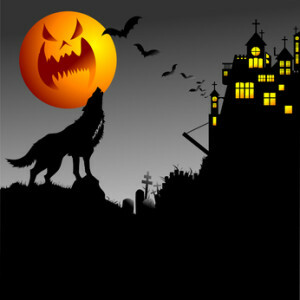 Funtober’s directory of haunted houses lists commercial and charity haunted houses, haunted hayrides, haunted trails, haunted corn mazes and fun haunted attractions in Iowa. We have the most complete list of dates, locations, and prices in the internet. Iowa haunted houses use all the animatronics, Hollywood set designs, live actors, air blasters, and scent dispenser you might expect from some of the best scary entertainment venues in the USA. Expect to be terrified by your choice of ghosts, vampires, witches, zombies, creatures, Freddy’s and Jason’s. Plan a full night of fright with your friends and visit one of these exciting Halloween haunted houses. Also find the Funtober 100 list of America’s Best “Most Liked” 100 Haunted Houses in the US. Back for another year at the Linn County Fairgrounds. Complete with 3 rides and 3 full length haunts on 7 acres including their Escape Room. Open Friday and Saturday nights beginning September 28th plus some additional nights. Check their web page for dates. They have provided 17 years of fear for the community. Tickets are $20. Now in it’s 8th season Dark Chambers brings terror to the city of Dubuque. Dark Chambers Haunted Forest is the tri-state’s most exciting haunted attraction experience. Their move to the YMCA Union Park Camp will include two separate indoor attractions and two haunted trails that will more than double the size of your adventure. Resurrecting the Haunted Forest and combining it with all the scares you love, dark turns and terrifying sights that will get your heart pounding. Grab your friends and anyone else you think will help you make it out and come test your mortality inside the Chambers… Tickets are $15. The attraction is open Friday and Saturday nights starting October 5th plus a few additional evenings near Halloween. The attraction runs a full scare from 7 pm until 11 pm. They operate a lighted scare attraction from 6 pm to 7 pm for $5. Check their web page for more details. New location this year for this annual haunt. The Garrison Fire Department sponsors a haunted mansion for four nights between 7 pm and 11 pm. Open on October 19th, 20th, 26th, and 27th in 2018. Admission is $10. Proceeds go towards equipment for the firefighters. Garrison is located between Cedar Rapids and Waterloo. Attraction opens on October 6th. Again located at the Mills County Fairgrounds will help Gateway of Chaos support the Malvern Area Betterment Association. Proceeds stay in the local community. Ticket are $10 and includes free parking. Gateway of Chaos is rated one of Iowa’s best haunted houses. Over 50 amazing volunteers come primarily from East Mills and Glenwood high schools. Haunt is 100% indoors. It is open from 8 pm to 11 pm. Some non scary one hours available certain nights at 7 pm. Opening on October 5th for this haunt season. Nothing is more frightening than a funeral home and demented caretaker. New attraction is Ravenhurst Manor. Tickets to Harris Haven are $25. It is open from 7 pm to midnight on Friday and Saturday or 10 pm on Sunday. It also has additional dates on Sundays and before Halloween. Haunted Carter Farms is advertised as the Original Haunted Corn Field Maze. They operate The Amazing Haunted Maize Maze and The 3rd Dimension attractions. It has been in operation for over 20 years. Tickets available. The attraction is open every Friday and Saturday in October. Also they have zombie laser tag. This popular haunt opens every Friday, Saturday, and most Sunday nights starting on September 28th through Halloween. Expect the unexpected! Nightmare On 4th Street is packed with animatronics and actors that will interact with you on an up close and personal level. What evil lurks around the next corner? Will you find your way out? How much terror can you face? Every year we add names to the list of those brave souls that just couldn’t handle it. Can you? Put on by Scarecrow Farm as Scare Central this attraction is separate from Nightmare on 4th and Fear Factory. They run on a farm and feature their Haunted Forest as the main attraction. It is open every Friday and Saturday beginning October 12th. This fall, spend a night at the farm! It’s the return of the Haunted Forest and Scary Corn Maze at Scarecrow Farm!!! If you thought going into a dark forest at night was frightening before, tempt your fate and summon your courage, as the creatures of The Haunted Forest await your arrival! A walk through the Haunted Forest will bring you face to face with Old Man Ripper’s legion of evil scarecrows, gigantic creatures, blood thirsty werewolves, and ghostly spirits. Even the trees themselves challenge all who enter to escape with their lives. The Haunted Forest at Scarecrow Farm is an outdoor walk-thru haunted attraction. We will be open for six nights this Halloween season. Our hours of operation are from 7:00PM until 11:00PM. Finding us is easy! We’re located just four miles East of Sioux City, Iowa on US Highway 20. Two indoor haunts and a haunted corn maze await you in Atkins, west of Cedar Rapids. Scream Acres is located at 3260 69th Street, Atkins, Iowa 52206. Enjoy Curtain Chaos, The Slaughterhouse, and the Haunted Corn Field. Visit between the hours of 7 pm until approximately 12:00 am. It takes about 40 minutes to go through all three attractions. It is open every Friday and Saturday night beginning October 5th. With over 75 creepers, clowns, and zombies – and FOUR haunted attractions, Scream Acres Scream Park offers an all inclusive haunted house experience for all ages each October. This is an all volunteer charity haunted house doing good work for the community and highly rated scare attraction. Open October 19th, 26th, and 31st from 7 pm to midnight. Tickets are $10. The times are 7:00 pm to 11:00 pm. Open every Friday and Saturday nights in October. The hike begins in a Halloween museum with a history of classic horror characters. Groups will be guided through the haunted town and into eight acres of pasture where unexpected terror awaits. Terror fun has run for the last 17 years. Heart of Darkness is 20 minutes of absolute fright through a 22,000 square foot field haunt. It features a monster midway with games and entertainment. Doors open at 7 pm. Buy your tickets online and save. Open every Friday and Saturday nights beginning September 28th through Halloween plus most Wednesday and Thursday nights. Open for the season starting October 5th. Thrashers House of Terror is open Thursday, Friday, and Saturday nights in October. Doors open between 6:00 – 6:30 pm. Tickets are $10 per person. Lots of fun for over 10 year. The Thrashers House of Terror will deliver the most terrifying and bone-chilling sounds in Mount Pleasant that’s sure to terrify you. Located on the grounds of McMillan Park. In some instances, the nearest haunted house to you may be in another state. If you find yourself by the border, or that is where the closest big city is, there should be a haunted house there worth visiting. I’ve located these other states with haunted attractions for you to also view in addition to the Iowa haunted houses. Have you bought a ticket to one of these haunted houses? Future visitors would be interested in hearing what you thought. Did you have a great experience? Was it worth the price? Would you recommend it to visitors here? Any suggestions to maximize the experience? I’ll gladly publish what you send me and give you a virtual hug. GO WEST INTO CLEAR LAKE TO THE FIRST STOP SIGN. TAKE A LEFT (SOUTH) ON SOUTH 8TH STREET. IN ABOUT 1 1/2 MILES, TAKE A RIGHT ON B35 COUNTY ROAD. TAKE A RIGHT ON SOUTH SHORE DRIVE. THE RANCH IS LOCATED AT 2532 SOUTH SHORE DRIVE, THE SECOND HOUSE ON THE RIGHT. LOOK FOR SIGNS. Conveniently located off Interstate 35 in Clear Lake, Iowa, The D and D Ranch Haunted Hike has been handing out terrorizing fun for all ages for the past thirteen years. Premiere actors from Iowa and Minnesota bring both classic and current horror figures to life in this award-winning Halloween attraction. The hike has also been featured in a number of local newspapers and television stations. The hike begins in the Halloween museum featuring classic characters throughout the years. Once you finish there, a haunted, wild west town awaits the brave. This year, groups will be able to guide themselves through the haunted town and into the ranch’s eight acres of pasture where unexpected terrors await. The hike lasts about twenty minutes, leaving people screaming for more! We are reconstructing the front of the haunt with a elaborate archway and turning the entire western town into a ghost town from the 1800’s. Our cornfield is moving locations and expanding into the haunt and around the outside of it. Be prepared for an all-new, creepy show. Admission is $9 per person. If you dare, we WILL scare! what about the 21st?? are you not open then? ?